Hugging koalas, being awed by the ‘roos and talking to a whole lot of people speaking an accent of English that makes you narrow your eyes and say, “What on earth are you saying?’- You’d think you have experienced most of what Australia’s about. But you aren’t even close yet. Once you figure out all the spiffy, sickie, dunny, snazzy and rippers, you will realize there is a lot more to this country than you were ever aware of. With its diverse cuisine, exotic wildlife, vast, sunny beaches, and high quality academics, Australia is a true heaven, especially for those of you looking for study abroad Australia programs. Australia is the 3rd most popular international student destination in the world and 8 out of the top 100 universities in the world are Australian. The universities and colleges in the country offer around 22,000 courses in around 1,100 institutions, providing students with a wide variety of academic options. The country boasts of a staggering 2,500,000 international alumni of Australian institutions making a difference around the world, along with 15 Nobel Laureates. The numbers say it all! Besides the amazing educational statistics above, you would obviously want to know about the attractions in Australia, and what makes the country a good place to pursue an education. 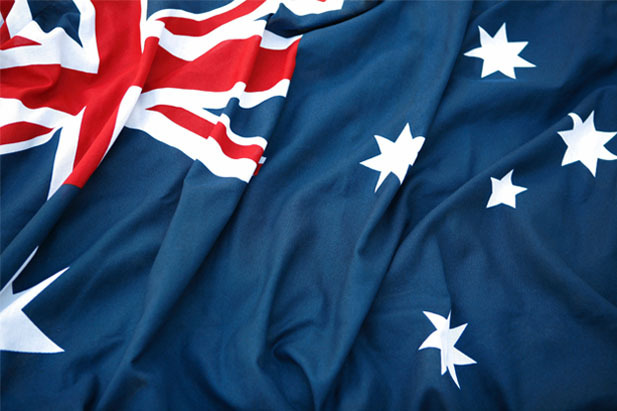 Technology: Australia is at the forefront of new and developing innovative technologies. The research facilities and vast technological resources are an appealing aspect for most international students. Australians Are Actually Nice: The common misconception about Australians is that they are rude, unwelcoming and arrogant. This couldn’t be farther from the truth. A lot of international students here claim that they found it relatively easy to make new friends. Student guardians are also allowed specific visas under the Subclass 580. This is applicable in cases where the student requires a guardian, i.e. the student is less than 18 years of age. For this, the person in question must meet the Genuine Temporary Entrant requirements and should be able to show sufficient funds for airfare and living expenses. In addition to that, they must meet the health and character requirements and have acceptable health insurance. This visa, under the Subclass 485, allows eligible international students to stay in Australia post graduation, to gain relevant work experience. This duration can last anywhere between 18 months to 4 years, depending on the qualification of the applicant. The visa, however, does not restrict the type of work you do or the number of hours you put in. You need to apply for this visa while staying in Australia and will need to have an eligible student visa in the last 6 months. Note: For more information on any kind of visa and their requirements, you can visit the Department of Immigration and Border Protection’s website. Australia is home to several world-class universities that welcome large numbers of international students. Australian National University: Located in the country’s capital, Canberra, this is the only university to have been created by the Parliament of Australia. It is known for its excellence in subjects such as politics, linguistics, sciences and geography. University of Melbourne: A favorite of international students, this university is well known for its departments of education, psychology, accounting and medicine. University of New South Wales: Located in Sydney, the UNSW is a founding member of the Group of Eight, a coalition of the best ranked universities in Australia with the main focus on research. University of Queensland: The oldest university in Queensland, the University has produced many notable alumni, including Geoffrey Rush and Nobel Laureate, Dr. Peter Doherty. University of Western Australia: Located in Perth, the UWA is another research-intensive institution, known for its vibrant campus life as well as its beauty. University of Adelaide: This is the third oldest university in Australia and is also a member of the Group of Eight. University of Technology, Sydney (UTS): It is considered one of the largest universities in Australia and has a vast student body. Monash University: Located in Victoria, this University has major research facilities, including the Australian Stem Cell Center. Transport in Australia is a little on the expensive side. But if you do a little bit of research, you might be able to figure out a transport plan that meets your needs and suits your budget. Air Travel: Since Australia is huge in size, air travel might be more useful for longer trips. Tiger Airways offers cheap domestic flights within the country. Jetstar is also a good option for domestic carriers you might want to consider. Their ‘Friday Frenzy’ deal can land you a flight for as low as $19. As a student, you would not need to travel a lot via air, but when you do, consider the airlines. Driving Around in a Car: Fuel is expensive and its prices vary from state to state in Australia. As a student, you are advised to fill your car up with friends and split the costs. Solo driving around could cost you a fortune. Getting Around by Bus in Australia: The costs for this would depend on the city you are living in. For instance, Melbourne and Adelaide have free inner city trams, while Sydney has a free CBD shuttle, which runs on a loop, every ten minutes. Greyhound Australia is a national bus service which is comfortable and easy. Oz Experience is also a hop-on, hop-off bus service system that has different fares according to the route and distance. Premier is another bus service you can consider. Train Travel: Long distance travelling by train can cost you a lot, but you can always find rail passes covering the railway network across the country, for good deals. Rail Passes start at $298. Rail journeys can, however, make for good trips with your college friends. There is a lot to see while travelling, so you can always make the whole thing into a vacation. Where to Live in Australia as an International Student? In addition to basic cost of accommodation, there will also be several other general living expenses. These would include groceries, eating out, telephone and internet and maybe even a small entertainment budget. Keep these expenses in mind before you finalize a place to stay at. Equally as important as accommodation would be your food budget. If you don’t plan this well, you are going to end up spending a fortune on food in Australia. You can save money by purchasing items in bulk, eat out less often and plan your meals in advance, so that you don’t have to buy any emergency supplies at high costs. For groceries and general food supplies, you can check costs online for two of the largest supermarkets in Australia – Coles and Woolworths. IGA is also a good option, especially if you are looking for cheaper alternatives. On average, expect to spend around $50 to $90 on food in a week, excluding the ‘eating out’ territory. Saving Tip: If you make large portions of food such as spaghetti Bolognese or a curry, you can freeze it in batches to eat later to save money. It is Hot Here! - Australian climate can get difficult to bear, especially if you are not used to high levels of heat. The coastal cities like Sydney and Melbourne can get ridiculously warm with temperatures going above 40 degrees Celsius as well. Be Careful on the Beaches – The UV rays down in Australia can do a serious amount of damage to your skin. Australia has the highest rate of skin cancer in the world. Even a half an hour of exposure can lead to very nasty burns. Grading System is Different – This is particularly important to ensure you don’t get depressed after one look at your grade sheet. A ‘D’ is Australia is considered a pretty good grade. Most Australian universities use HD (High Distinction), D (Distinction), C (Credit), P (Pass) and F (Fail). Barbie is not only a doll! – As odd as that sounds, Australians refer to barbeques as ‘barbie’. So the next time someone says they’re planning to throw a ‘barbie’ for their friends, don’t think it’s some weird doll-throwing tradition they have going on. Do your research before you head on to study abroad in Australia. However, no matter how much you read up on these mattes beforehand, the experience itself is going to be your best teacher. So head on over to take a dive into the Aussie lifestyle, it won’t disappoint.